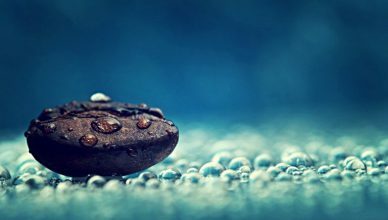 A good coffee can be recognized by its unique aroma and the coffee type by its taste. — Body – describes the physical properties – heaviness, or mouthfeel – of the coffee as it settles on your tongue; the feel of the coffee coating the tongue. If you are not able to determine the body by the taste, add a little milk to the coffee. If you can still taste a coffee then, it means it has a heavy body. Remember, if you drink coffee with milk, look for a coffee with that heaviness. — Acidity – it is a taste similar to the taste of a lemon juice. You can taste it on the sides of your tongue and it is highly desirable taste in Arabica coffee, but in Robusta almost nonexistent. It is the opposite of bitterness and sourness. — Bitterness – you can taste it on the back of your tongue. It is similar to the taste of grapefruit rind or dark chocolate. It can be formed in the process of long roasting called Italian. Unlike acidity, bitterness is a domain of Robusta grains. — Balance – it is the overall impression exerted simultaneously by smell, body, bitterness and acidity. It can be said that balance is the taste, the sensation characterized by the absence of dominance of one of those coffee components. With the above guidelines in mind, it is worth recommending here this high quality Superb Antioxidant Coffee from Living Good Coffee. It is extraordinary for its taste and healthy components. Since it is roasted with a modern, fully ecological method, this coffee is very aromatic with a deep taste, while still full of quality typical for natural organic coffee. This allows to get rid of the taste of bitterness and preserve the maximum amount of antioxidants and nutritional value of coffee. We wish all the coffee drinkers to have a delicious, good coffee. Unconventional ways to use coffee. 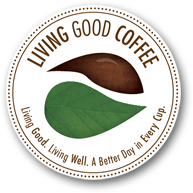 Living Good Coffee…a great tasting premium healthy coffee…the latest in coffee innovation! Go ahead and compare our healthy roasted beans with that of a traditional roasted beans and you can visibly see the difference!